Keep a voiding diary. Monitor your drinking and your urine output. 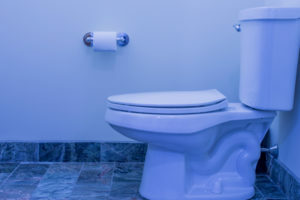 Take note of whether you are urinating too much around the clock, or just at night. If you’re urinating more than eight times in 24 hours, that’s too much. A lot depends on your age. And if you’re between age 65-70 and going more than twice a night, you should make an appointment with your doctor. Also, see a doctor if you are getting up more than once a night if you are between age 60-65, and more than three times each night if you are age 70 or older. 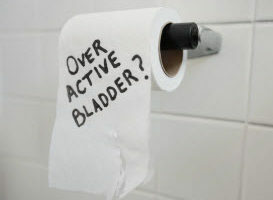 While your bladder’s capacity does not necessarily decrease with age, the prevalence of overactive bladder increases with age. Limit your intake of fluids two hours before bedtime. Drinking too close to bedtime can cause the need to urinate at night. And alcohol and caffeine — bladder stimulants — should be limited all day long. Cut back to just one alcoholic beverage, or none at all, and decrease your current caffeine intake. Check for sleep apnea. During deep sleep, our bodies produce antidiuretic hormone (ADH). This allows us to retain more fluid overnight. People with sleep apnea do not get into the deep stages of sleep, so their bodies don’t make enough of this hormone. In addition, the drops in oxygen levels during apnea episodes trigger the kidneys to excrete more water. In this case, treating sleep apnea should take care of the problem. Exercise, and wear support hose for swelling in your feet or legs. If you experience swelling in your feet or legs, you’ll probably wake more often overnight to urinate. 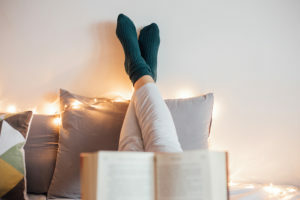 That’s because the fluid pooling in your extremities during the day will be reabsorbed into your system once you lie down with your feet at the level of your heart. Then the fluid will head to your kidneys to be processed. To help with this issue, exercise and wear support hose to try to get that fluid processed before bedtime. Elevate your legs. In the late afternoon, if you prop up your legs for an hour at the level of your heart, this can help you urinate during the day (rather than at night).